Close a big deal at your office? 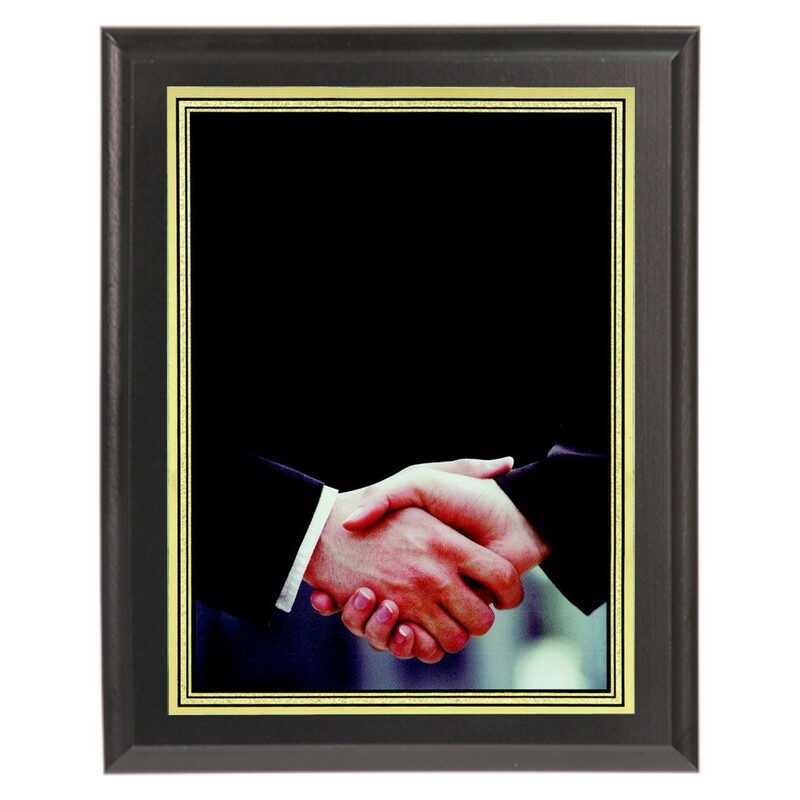 Acknowledge your employees that worked tirelessly with our Color Business Handshake Plaque! This handsome black plaque features a full color image of shaking hands with a gold border along the edge. Your personal engraving is in gold letters. Available in two sizes, this plaque is great for acknowledging any business transaction.